Inspired by Brothers: A Tale of Two Sons, Escape Goat, and The Legend of Zelda! Solve action based puzzles by coordinating two distinct characters, each with their own capabilities. 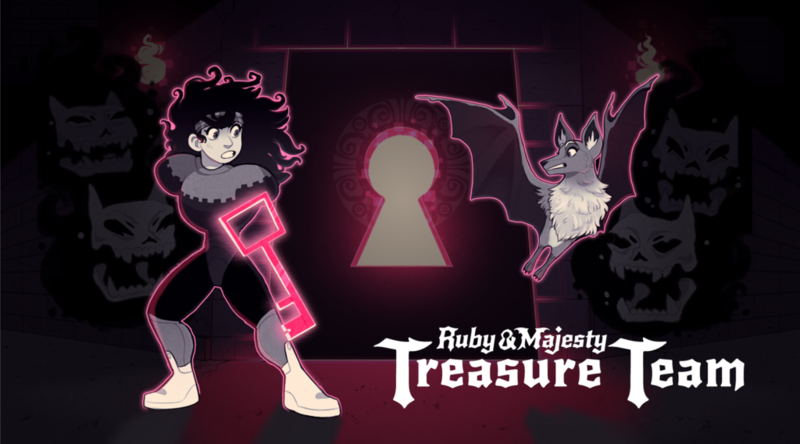 Take control of both Ruby the Person and Majesty the Bat, aka Treasure Team, as they search freaky trap filled ruins for TREASURE! Wrack your brain trying to control two characters at once! Solve fiendish puzzles! Push blocks, grab keys, dodge arrows, flee enemies, and remember the Treasure Team motto: PRESS ALL THE BUTTONS!